With the help of Ellen Maulbeck-Levine and Nutrametrix, Yee Medicine and Pediatrics Associates has started a program on nutrition and weight management that involves seminars given at both offices to introduce proper nutrition and healthy nutritional supplementation. The science behind Nutrametrix products is in its formulation. All of these supplements come in powder or liquid form. This allows them to be easily mixed. More importantly, the formulation allows them to be easily and efficiently absorbed so that you get the most out of each product. There are no fillers and there is no need for them to be dissolved before they can be absorbed. More importantly, they taste great and this is a plus for kids and adults. 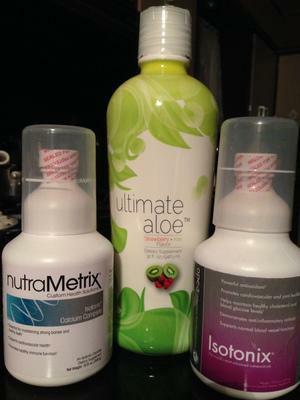 One of the most popular products is Ultimate Aloe. It comes in various flavors and can be taken alone or mixed with other Nutrametrix products such as multivitamins, calcium complete, and Vitamin D.